Handlebar Marketing gave me a copy of this book for review; all opinions are my own. Are you living in chaos? Do you perpetuate chaos? This blog is titled, Kids Creative Chaos, but several years ago, I was able to squash most of the chaos. I learned to say 'No' and not to overextend myself. I forgave myself for not attending every event or argument that crossed my path. Amazon Affiliate: I get a small commission if you make a purchase from a link. Some people need routines to organize the chaos. For me, the routines bred the chaos. Now, I take one day at a time and try to live every day to its fullest potential. Of course, on some days, life's fullest potential is just relaxing and watching a movie on Amazon - not something I felt comfortable doing in the past. How could I sit idle when so much needed done? If you are looking for a self help book for life, Ordering Your Private World is the perfect choice. Enjoy! 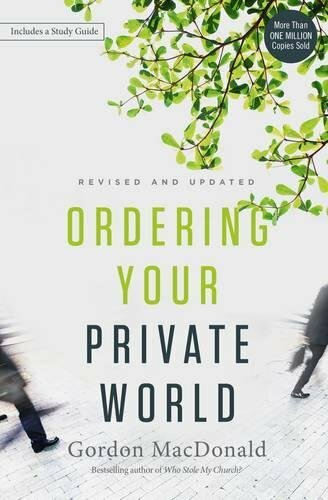 The first thing you need to know about Ordering Your Private World by Gordon MacDonald, is that it is a Christian book written by a pastor. It references scripture. For some that will be a win, but for others it may be a turn off - don't let it be. MacDonald's personal journey may be different from your own, but it is worth the read. Written in a conversational style, this self help book on life is a quick and easy read. Book Blurb: One of the great battlegrounds is within the private world of the individual. The values of our Western culture would have us believe the busy, publicly active person in ministry is also the most spiritual. Tempted to give imbalanced attention to the public world at the expense of the private, we become involved in more programs, more meetings. Our massive responsibilities at home, work, and church have resulted in many good people on the verge of collapse. 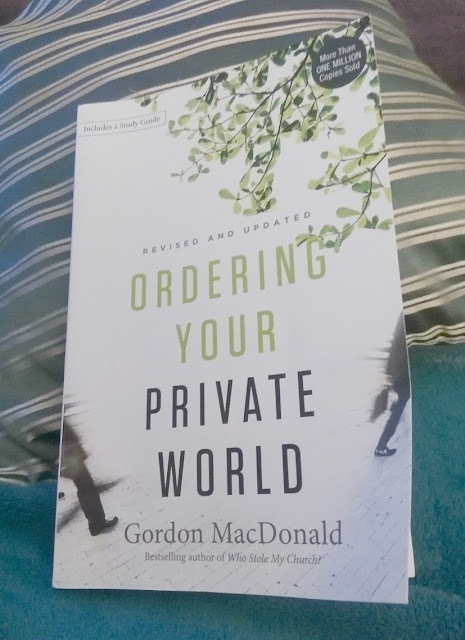 In this updated classic, Ordering Your Private World, Gordon MacDonald equips a new generation to live life from the inside out, cultivating the inner victory necessary for public effectiveness. The author shares his personal journey of a Pastor spread too thin. He shares a turning point that gave him insight and helped him realize the time had come to organize and take control of his own life. With a study guide to help you on your own organizational journey, in no time, you'll be on your way to a life led by your own spirituality focusing on what's really important and matters most to you. Keep in touch, follow us on Instagram.